We had a good run for videos in May; several of them got a ton of views when we shared them over to Facebook. As many of you may have noticed we don’t post too many carnage or “UTV fail” videos, we’d rather promote the good over the bad, but we let a few crash clips slide in last month and of course they usually go over well. We also had a couple clips from the 2018 Rally on the Rocks UTV event make the cut, one of them was our own video; and we’re okay with that. 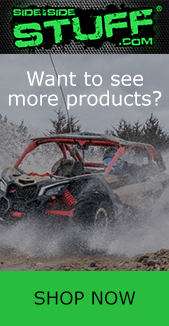 We even had a video we reposted from pro UTV racer Mitch Guthrie Jr that made the cut. Plus, our number one was pretty epic, check it out; here’s our Top 10 Instagram Video Clips from the month of May. Rollovers are always frightening, glad to hear Side By Side Stuff fan @bhanlon97 was okay after this tumble. Sweet video originally posted by pro UTV racer Mitch Guthrie Jr, a ton of people probably attempted this after this went up. LOL. We got to see Mitch take 1st at the King of the Hammers UTV race this year, click HERE to view our 2018 KOH event recap. We’ve rode in Louisiana; this IS really how they do it. UTV news we reposted from ATVRiders.com‘s Instagram. Phil Smage from the Nitro Circus crew was making a UTV long jump world record attempt at Brimstone’s White Knuckle Event; unfortunately things didn’t go as planned. We wish Phil a speedy recovery. Here’s our clip from Rally on the Rocks that made the cut, click HERE to check out our 2018 Rally on the Rocks event recap. We love it when fans submit great videos like this. We’d love to see your video, for a feature DM your UTV videos to us on Instagram.